OK, so it turns out I must have been living underneath a rock for the last three years. I've only just discovered - and fallen madly in love with - online kids clothes retailer Half Pint Chic. I have a real thing for designer kidswear. I love good quality children's clothes. I'm not denying that there is a time and a place for cheaper, supermarket alternatives, but those clothes never make it to hand-me-down status and, having two daughters, that's something I'm rather keen for my clothes to do. Despite a penchant for lovely, well made clothes, I'm not a massive fan of huge price tags. I believe kids should be kids; running around, climbing trees, getting up to mischief. If something gets marked or torn in the process then I'll be a bit miffed, but so be it. I'd rather that as a result of them enjoying themselves than not letting them play out. This is the main reason I'm not prepared to pay huge sums for their clothes. God forbid I fork out £70 for a dress and it ends up stained as a result of a mud pie making party (special occasions are a different matter entirely, of course). Also, I don't believe in 'fashion' for kids. I hate seeing little children dressed as mini adults, which is probably why I go for a lot of vintage, or vintage inspired pieces for my girls. Something being current season is not important for me in the slightest. Anyway, I digress. I was SO excited when I first discovered Half Pint Chic. They've been selling past season, designer childrenswear up to 70% off for the last three years, and they stock virtually ALL of my favourite brands! My first order (I don't think I'm going to shop anywhere else from now on, so there will be plenty more orders in the future!) 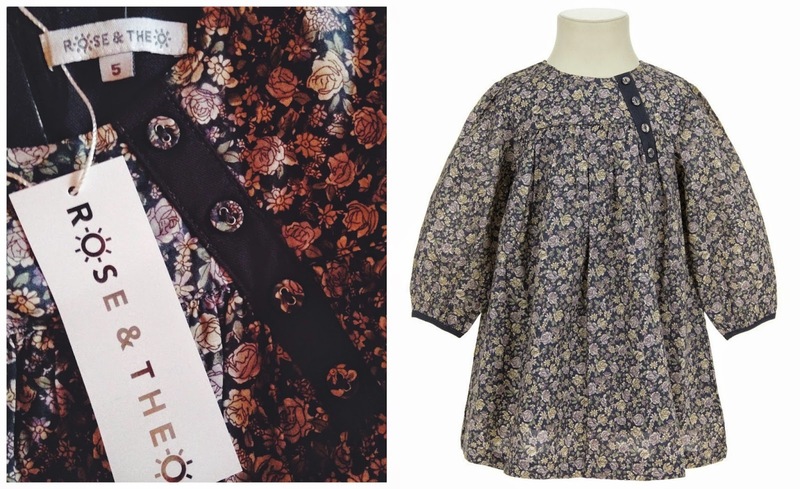 comprised a gorgeous Autumnal floral print smock from Theo & Rose for Daisy and a very festive (and adorably old fashioned) green, red and white dress from Little Ducking for Evie. 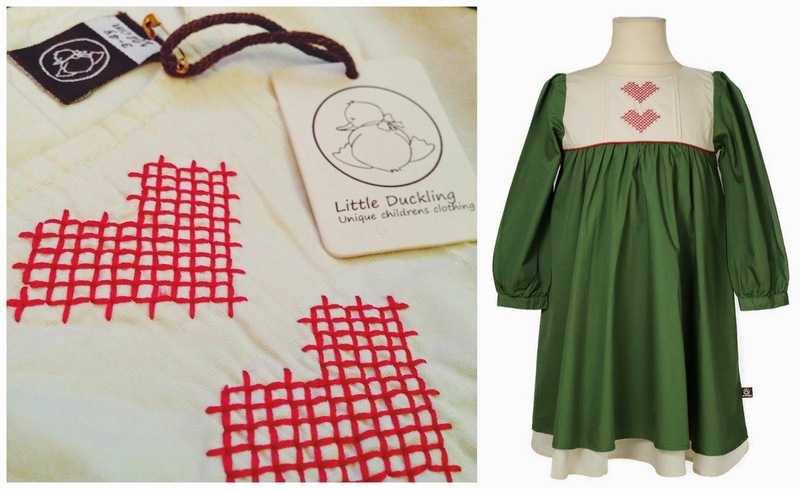 Both are 100% cotton and fully lined with utterly gorgeous detailing; buttons on the neck of the Theo & Rose and piping and cross stitch on the Little Duckling number. Turns out my nearly two year old doesn't like posing for photographs very much anymore. 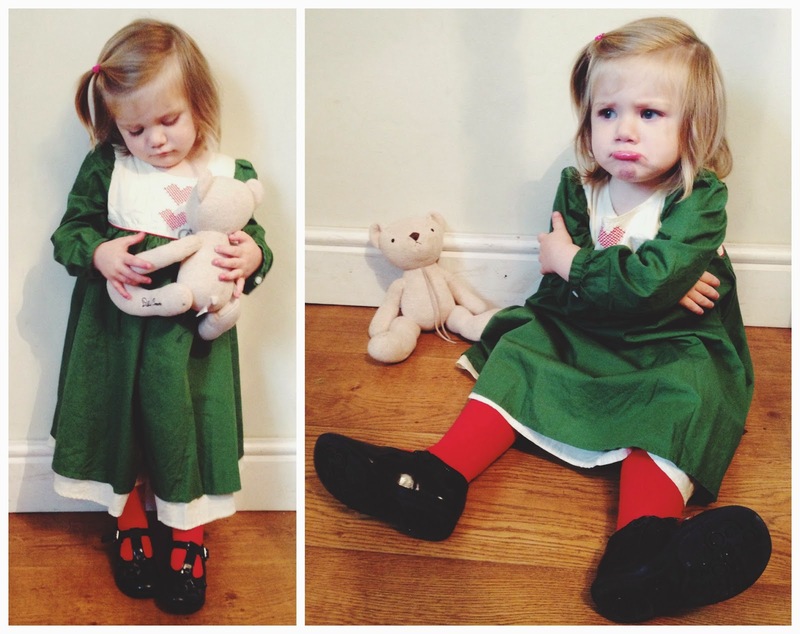 But grumpy face aside, how adorable are these outfits?! And what brilliant prices too. I must have been under a rock too....lol I've never heard of this brand either but what gorgeous outfits!